I was on TV these last few days (I am not sure exactly when, as it was recorded over a week ago), my purpose being to explain how the date of Easter is calculated. Easter, and the other Christian festivals which are tied into it like Mothering Sunday, Shrove Tuesday and Ash Wednesday, is the only festival I can think of which is practiced in Western civilisation where the date it is celebrated depends on the phase of the Moon. As I have blogged about before, Chinese New Year, the Jewish New Year, Ramadan, Diwali and other religious and cultural festivals nearly always depend on what the Moon is doing, and as a consequence do not fall on the same date each year. Well, the same is true of Easter. Of course, Easter is the most important Christian festival. In recent times, Christmas has become more celebrated, but this is mainly because Christmas has become a secular holiday. And, let’s face it, we all need something to celebrate in late December when the days are so short and dark. Easter is more important to Christians because it represents the very essence of Christianity. That Christ, God’s only son, died and rose from the dead two days later. 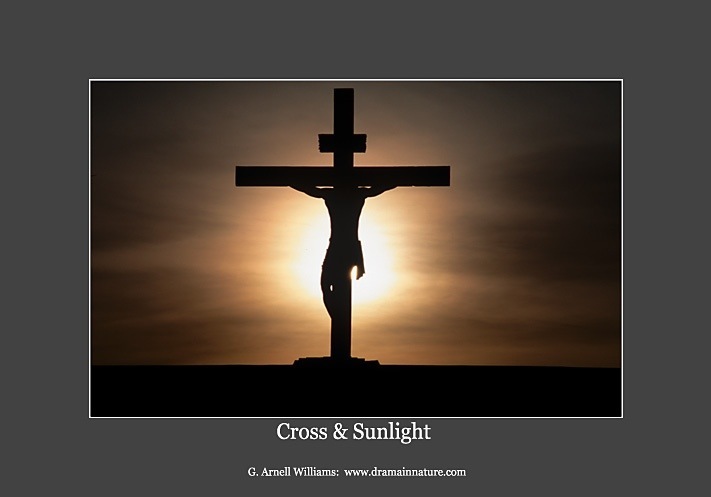 Even as a non-Christian, I find the story of the crucifixion a very moving one. Whether true or myth, the idea of a person (or son of God if you believe that) willingly dying in the belief that his death would help others is a very noble one. And, of course, central to the Christian faith is the belief that Christ not only died on the Cross, but that he came back to life to show that eternal life awaits those who believe in Him. The formula for calculating Easter is very simple. Easter Sunday is the first Sunday after the first full Moon after the Vernal (spring) Equinox. This method of calculating Easter was decided in AD 325 at the 1st Council of Nicaea. So, for example, this year, as I blogged about here, the Vernal Equinox was on the 20th of March at 11:02 Universal Time. The full Moon was on Wednesday the 27th of March and the first Sunday after this is today, Sunday the 31st of March. Because of the way Easter is calculated, the earliest is can possibly be is the 20th of March. This would happen when the Vernal Equinox happens to also be the day of a full Moon which happens also to be a Sunday, and we are near the start of the 4-year leap year cycle (which enables the equinox to be on the 20th of March rather than the 21st of 22nd of March). 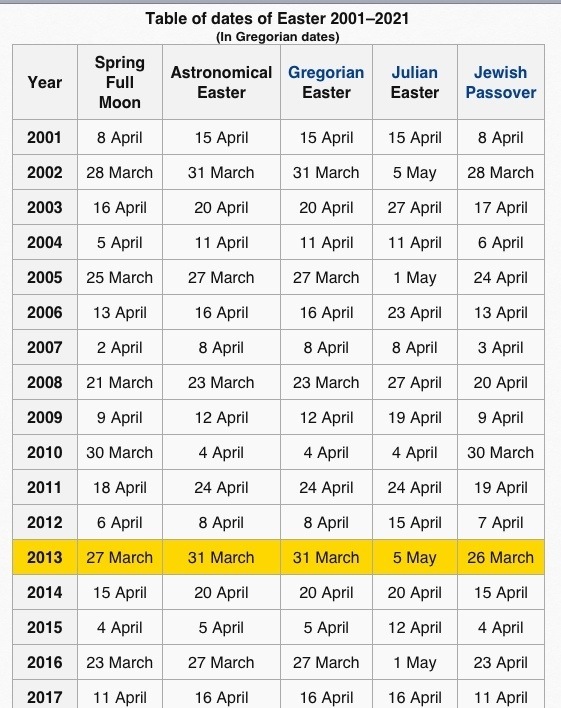 In 2008 Easter Sunday was the 23rd of March, nearly as early as it possibly can be. The latest Easter can be is the 26th of April. This will happen if there is a Full Moon just before the Vernal Equinox, and the Full Moon after it, the first one after the Vernal Equinox, happens to be on a Monday. There are 29.53 days between each full Moon, so if the full Moon falls on the 22nd of March before the Vernal equinox, and then the full Moon after that, which would be on the 20th of April happens to be a Monday, then the Sunday after that would be the 26th. Below is a table showing the date of Easter from 2001 to 2017. As you can see, on 2011 Easter was nearly as late as it can possibly be, Easter Sunday fell on the 24th of April. I am certainly no expert in Christian matters, but does anyone know why it was decided to calculate Easter this way? It means, of course, that Good Friday, when Christ was meant to have been crucified, always happens near a full Moon. Usually a few days after a full Moon. Is there an indication in the Bible of the phase of the Moon when the Crucifixion happened? As Bo has pointed out below in the comments section, the Church have decided (in their infinite wisdom) that, for the purposes of calculating the date of Easter, the Vernal Equinox shall always be on the 21st of March, irrespective of when it actually is astronomically! In addition, they have also decided to alter the period between full moons! Astronomically there are 29.53 days on average between full moons. The actual time between successive full moons changes due to the speed of Earth’s orbit about the Sun not being constant and the speed of the Moon’s orbit about the Earth not being constant either. But for the Church it is either 29 or 30 days. Obviously they are simple minded folk who cannot cope with the complications of real astronomy. As a consequence of these two simplifications, the date of Easter Sunday will always lie between the 22nd of March and the 25th of April, not the 20th of March to the 26th of April asI stated above. Sorry for any confusion! You might, like me, be confused why Bombay was renamed Mumbai. From what I have been able to gather, the name Bombay comes from a Portuguese name Bom Bahai when they became the first European colonial power in 1534. 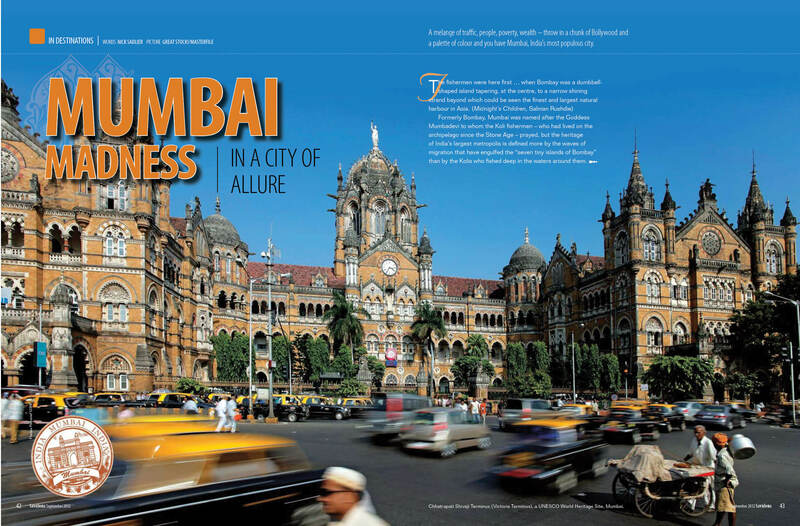 In 1996 the City Government officially changed it (back) to Mumbai, to reflect the name it had been given by the city’s original residents, the Koli fisherfolk who have inhabited the area since the 2nd century BC. So its a return to the original name before the Portuguese re-named it. As I will be in Mumbai when this blog is posted, I thought I would post the first ever Western pop song to feature the sitar, a traditional Indian stringed instrument. The sitar in The Beatles’ Norwegian Wood is played by George Harrison, who learnt the sitar from Ravi Shankar, one of the most highly celebrated sitar players of the 20th Century. Many of the Beatles’ songs in the 1965-68 period feature the sitar and its distinctive sound. But this was the first. The song, written and sung by John Lennon (but, as per the agreement they struck as teenagers, is attributed to Lennon and McCartney), speaks of an affair the singer is furtively starting. 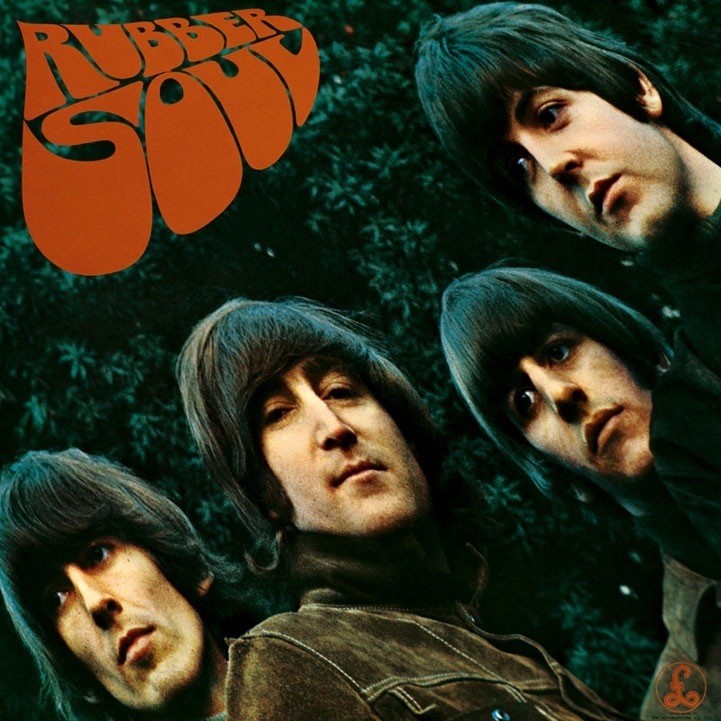 It appears on The Beatles’ 1965 masterpiece Rubber Soul, one of my favourite Beatles albums. 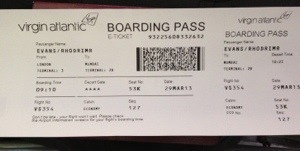 If you are reading this on Friday (29th of March 2013) then I am probably in the air on my way to Mumbai. I will be in India for a couple of weeks, it will be my first visit there. I do plan to update my blog whilst I am away, if internet access allows, but I have also actually scheduled a few posts to be put up automatically over the next few weeks. I hope to return with hundreds of images and memories of India to share with you. It is a country which has long fascinated me, since I was a teenager. It is just a pity it has taken me so long to visit there, but I suspect this first visit will not be my last. 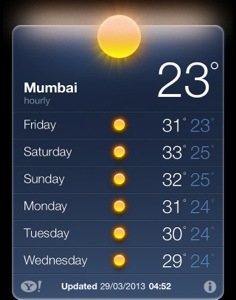 I will get to witness first hand the “madness of Mumbai” this weekend. In this blog, I explained some of the basics of vectors. I only dealt with 2-dimensional vectors, but of course we live in a 3-dimensional world. So, to fully specify a vector in 3-dimensions we need to add a third component. Usually, but not always, we can use the x, y and z-components of the vector, and so can write any vector in terms of its x, y and z-components. 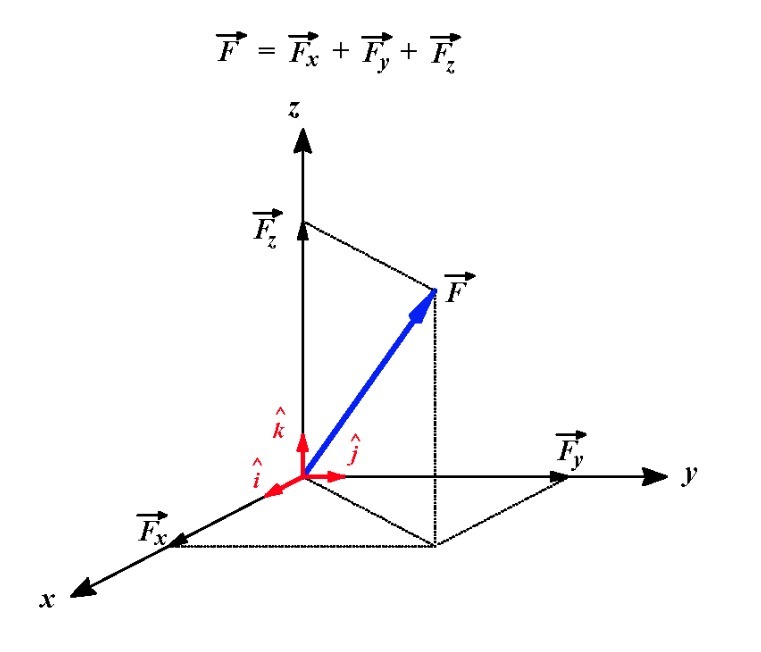 For example, let us suppose we have some force which is in 3 dimensions, then we can write it in terms of its Cartesian components as , where are the unit vectors in the (x,y,z) directions respectively, and and are the x, y and z-components respectively (in this figure the unit vectors and are labelled and , which is an alternative nomenclature ). The 3-D force F can be broken down into its 3 components in the x, y and z-directions. Sometimes, we may be interested in how much the vector is changing with position. A good example of this might be the force on a charged particle produced by a bar magnet. 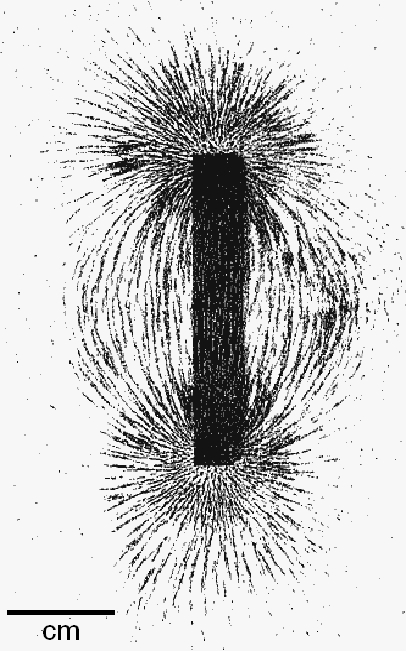 We have all seen the so-called “field pattern” produced by the magnetic field of a bar magnet. We sprinkle iron filings on a piece of card, put the bar magnet under the card, and the iron filings align along the field lines. The field lines of a bar magnet. We might be interested in how much the force due to this magnetic field varies with position. To make things easier, if we only consider the change in the strength of the force on the surface of the card, then we can ignore any change in the vertical dimension, which we will call the z-dimension. How much a quantity changes with position can be determined by taking the derivative with respect to x, with respect to y and with respect to z, our three spatial directions. What would be the partial derivative with respect to of this force? So, finally, we can write . The term we use for a quantity like is the gradient (or grad) of the vector. This word derives from the fact that, in two dimensions, if we have , then the gradient of the function (the slope of the function) is just given by . So the grad is just the three (or more) dimensional equivalent of taking the derivative of a two dimensional function like . As I will explain in a future blog, the vector differential operator is a very powerful and important operator in mathematics and physics. It forms the basis of vector calculus and can be combined in two other ways with a vector to derive the divergence of the vector and its curl. Drawing up any “greatest of all time” list is bound to cause controversy. Rolling Stone magazine does not shy away from controversy, either about music or politics. Over the next several months I am going to post about once a week on their top 30 albums of all time. 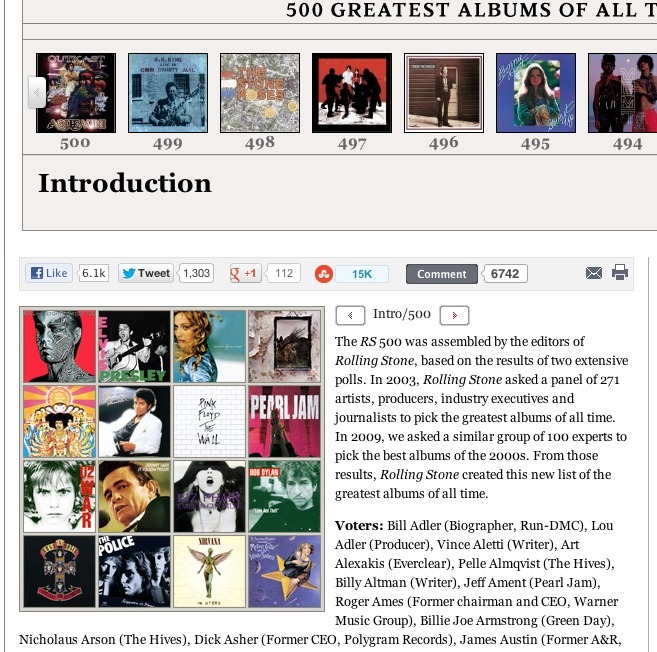 As the screen capture of the front page of 500 Greatest Albums section of their webpages shows, the list is not a list voted for by the public, but rather by writers, critics, musicians and music industry experts. How different the list would be if it were voted for by the public, or how different that list would be if voted for by e.g. the US public or the Canadian public or the British public, is an interesting question to ponder. Rolling Stone Magazine’s 500 Greatest Albums of all time. The other thing to ponder of course is whether such lists serve any purpose. Personally I think they do. I remember seeing a list of the top 20 albums of all time in the Sunday Observer newspaper when I was a teenager, about 14 or 15 years of age. Like the Rolling Stone list, it was not a list of the top 20 best selling albums of all time, but rather the top 20 best albums as decided by some rock critics. I was (and still am) a massive Beatles fan. Two of the top 3 albums were Beatles albums, numbers 1 and 3. But two of the top 5 albums were also Bob Dylan albums, numbers 2 and 5. He was an artist I had heard of in the context of having influenced John Lennon and The Beatles, but I had never heard his music. Based on his having 2 albums in the top 5, I bought the two of them, and have been a huge Dylan fan ever since. So, such lists are, I think, amongst other things a way to discover new music. And, of course, to get a discussion going on whether such and such an album really does deserve to be number 25 or 15 or whatever. Over this last weekend I read a very interesting editorial article in Saturday’s The Times newspaper about free speech. It started off talking about how the High Court had upheld London Mayor Boris Johnson’s ban on “offensive” advertisments on London buses, and it then went on to talk about the bill which passed through the House of Commons last week on statutory legislation of the newspaper press in England and Wales. With the first of these two (the “offensive” advertisements), I am very clear where I stand. I am less sure where I stand on the matter of legislation against the excesses of the print media in Britain. There is probably no God. Now stop worrying and enjoy your life. Not gay! Ex-gay, post-gay and proud! Get over it! After this one appeared, a complaint was made and Boris Johnson banned the advert, saying it was “homophobic”, and therefore was tantamount to “hate-speech”, which is banned. The Christian group appealed, but last week the high court upheld Boris Johnson’s ban. I do not agree with this. It is a restriction on free speech, and I think that restricting free speech is a bad thing. If any people, gays or otherwise, are offended by the Christian group’s advert then they should be allowed to counter-advertise, or argue their case (e.g. that people do not choose to be homosexual, in the same way they do not choose to be heterosexual). Simply banning something which does not agree with you viewpoint, or which you find offensive, is a slippery slope to controlling what people can say. Although “hate speech” is, quite rightly, banned, I do not see anything hateful in the Christian group’s advert. It is not suggesting gay people should be stoned or murdered or castrated. It would take me hours to blog about the excesses of the British print press over the last 15 or so years, and the Levinson enquiry and report which ensued. Suffice it to say that the British press (mainly the tabloid press) have engaged in some very unsavoury behaviour in the last 15 or so years to obtain stories. My feeling is that most (all?) of this behaviour was illegal when it was done (like hacking into someone’s mobile phone and picking up their voicemails or writing knowingly incorrect headlines about people or things just to sell newspapers), and therefore we do not need new legislation to curb this behaivour, just better enforcement of already existing laws. But, after saying that, I do feel the newspapers should be held to account. 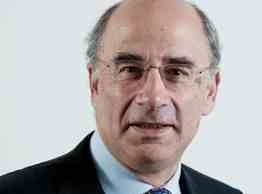 At the moment the self-regulating Press Complaints Commission is toothless, and ineffective. If a newspaper prints something which is wrong, or obtained illegally, then they should face hefty fines from the courts (large enough to hurt them financially), and be required to print prominent corrections, not a correction buried on page 34 when the story was the front-page headline. How far what I feel should be done is from the proposed legislation which will go to the House of Lords later this week I am not sure. I have not read enough about it. All I do know is that the newspapers are kicking up a big fuss about how Britain is curtailing the freedom of the Press. But, of course, they would. How much do you think free speech should be limited? Sometimes? Never? On Saturday (16th of March) I was in Liverpool, having given a talk to Liverpool Astronomical Society on the previous evening. So I spent a wonderful few hours looking around the various Beatles sites in the city. I had done this back in 2006, but you can never get too much of a good thing. I started my tour in Matthews Street, which is where the Cavern Club is located. The Cavern is where the Beatles played over 200 times in the early 1960s, before they became famous. It is where Brian Epstein first saw them, and signed them up to become their manager. In and around Matthews Street are many Beatles shops, selling Beatles memorabilia. Nowadays one can buy Beatles T-shirts in many shops, but if you are a real Beatles fan, these shops have a much wider selection of T-shirts than you will find in high street shops. In addition, of course, there are things like mugs, post cards, posters, bags and all manner of other things available. I bought a few things for my youngest daughter Esyllt, who is my little Beatles fanatic! After that I wandered down to Albert Docks, which is where the new “Beatles Story” museum is located. It costs about £12 to go around, but I was more keen to go on the “Magical Mystery Tour”, which again I had done before in 2006. It takes you around the sites in Liverpool which are associated with the Beatles, such as Penny Lane, their childhood homes and the Church hall where John Lennon and Paul McCartney first met. Unfortunately the two tours on the Saturday were all booked up. So, a word of warning, if you are planning to visit Liverpool and plan to do this wonderful tour, book ahead. Each tour lasts 2 hours, and with only 2 tours a day they quickly fill up. I was just about to resign myself to doing the Beatles Story experience rather than the tour when the lady in the tourist centre told me that someone had just called in to cancel their booking as this person had mixed up their dates. So, I was able to get a cancellation at the last minute. Very lucky! I did not have time after the tour to do the Beatles Story museum so I will have to save that for the next time I visit this wonderful city.